With over 1,500 spacious acres, award-winning Broadlands, a master planned community in Ashburn, Virginia, is dedicated to preserving and enhancing the natural environment while combining a modern, active lifestyle. Broadlands is located in eastern Loudoun County, just off the Dulles Greenway at Claiborne Parkway (Exit 5), midway between Dulles International Airport and the town of Leesburg, Virginia, close to AOL’s Headquarters and other corporate centers. Broadlands planned community was created to accommodate 3,800 residences, living in harmony and balance with nature. The National Wildlife Federation has named Broadlands a Certified Wildlife Habitat Community, only the 25th community in the nation to achieve this certification. Broadlands is developed by the Van Metre Companies, winner of the 2008 Avid Award for Best Customer Experience. Van Metre, founded in 1955, is one of the largest privately owned homebuilders and developers in the nation’s capital area. A variety of unit size and type are available to meet a range of lifestyles and budgets—a varied styles of single-family homes, town homes, condominiums, and apartments are included. Construction was recently completed, but there are always units available for sale. 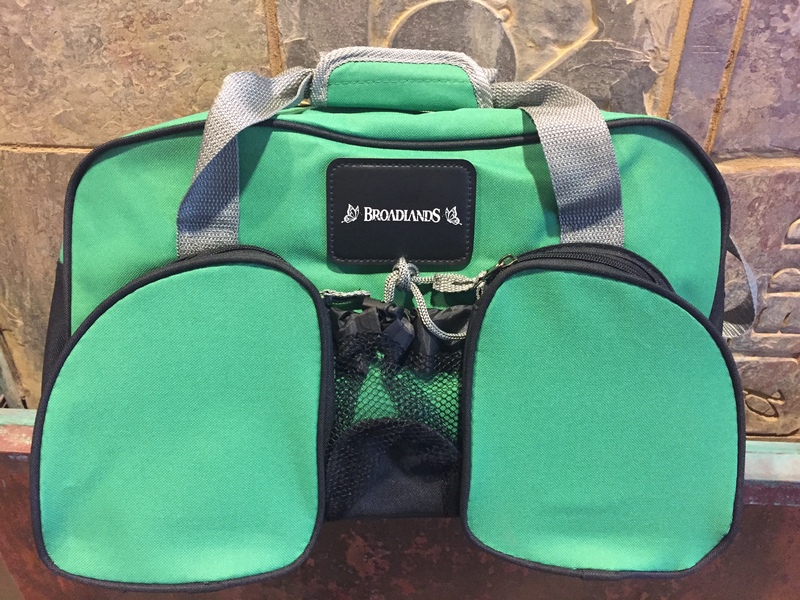 The Broadlands community is managed by Broadlands Association, Inc., a homeowners association that incorporated in 1995. Broadlands became homeowner-controlled in 2009. Broadlands also includes two apartment complexes with rental units; The Arbors at Broadlands and The Van Metre Broadlands Apartments. The entire Broadlands community is spaciously designed to flow around Stream Valley Park, 150 acres of natural haven with wooden trails, wetlands and wildlife preserves providing recreation for people of all ages. In addition, many open spaces and areas like Hillside Park and Oak Tree Grove provide perfect areas for children to play for hours. At Broadlands, nature is not only a restorative backdrop for community activities, but is also a catalyst for bringing residents together, whether learning to build bluebird houses or participating in numerous post-certification activities protecting their Wildlife Habitat. For a community so diverse, Broadlands is close-knit, vibrant and growing, with families placing major emphasis on schools, quality of education, and sports and activities. Boasting one of the best school districts in the metropolitan area, Loudoun County public schools offer educational programs that rank with the best in Virginia and in the nation, providing well-run programs for Gifted Students, Vocational and Alternative Education, as well as Special Education. Onsite, Broadlands has two elementary schools (Hillside and Mill Run) and one middle school (Eagle Ridge). Students grow up together and attend the same high school nearby, Briar Woods High School, with continuity of friendships that last a lifetime. Broadlands residents recognize they live in a premier part of northern Virginia and take pride in their community through an active homeowners association, a wide array of natural and man-made amenities, and special events throughout the year, such as the Broadlands Live Concert Series. Reasonable HOA dues pay for upkeep of community common areas, playgrounds, nature trails, along with amenities such as three community swimming pools, nine tennis courts, 23 tot lots, and the stunning lodge-style 5,000 square foot Nature Center, the highlight of the community. Over 3 million square feet of shopping, restaurants, services, and offices are nearby at Broadlands Village Center and Broadlands Market Place. The community has several areas that are designated as wetlands. Wetlands are the link between the land and the water. They are transition zones where the flow of water, the cycling of nutrients, and the energy of the sun meet to produce a unique ecosystem characterized by hydrology, soils, and vegetation, making these areas very important features of a watershed. Learn more about wetlands from the US Army Corps of Engineers’ publication Recognizing Wetlands and the EPA flyer Wetland Overview. Broadlands has three community pools: the Summerbrooke Pool, Southern Walk Pool and the Community Center Pool. Tennis courts are available for use at the Nature Center, Hillside Park, Broadlands Station and Park Glen Villas. Playgrounds are located at Harvest & Welby, the Nature Center, Summerbrooke, Broadlands Station and at Hillside Park. A fitness center is available for use by residents located basement of our Club House. Broadlands also has a Community Center for use, which residents can rent for occasions such as birthday parties, wedding receptions and graduation parties (among others). 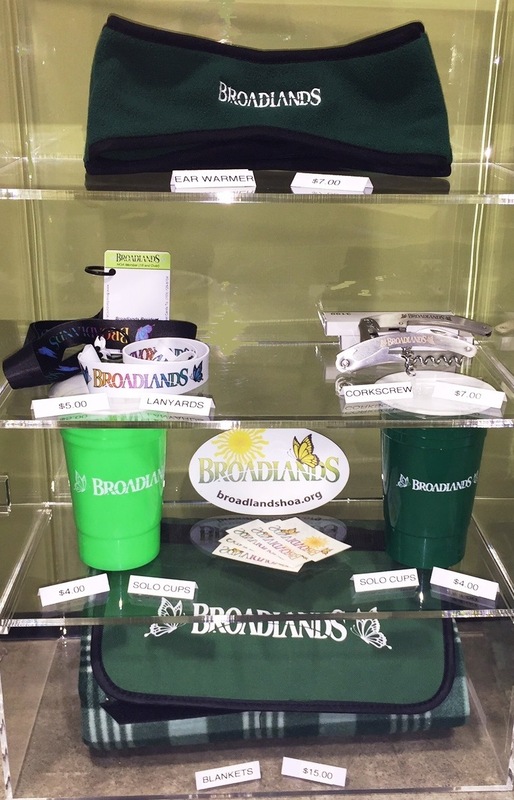 Broadlands Gear Available at the Nature Center..Get Your Swag On! Please stop by during business hours, 9am-5pm, Mon-Fri to check them out. Checks, cash or credit cards are accepted.